Disney LEGO Minifigs - Blind Bag Opening! Disney LEGO Minifigs – Blind Bag Opening! I did a fair bit of shopping on our most recent holiday in Florida – I was there for a month, so you can’t blame me really! I bought a lot of Disney Pins, and Magnets, amongst other things. I’m going to do a haul video at some stage sharing everything with you, but in the meantime, I filmed the blind bag opening of the Disney LEGO Minifigures that I bought. I’m not a big fan of blind bags – I know they are designed to entice you to spend more money to finish a collection. And they’ve suckered me in… there are 18 in all to collect, and I hate having an unfinished collection! We bought 8 bags from World of Disney at Disney Springs – I think they were $5 each – and spent quite a bit of time having a feel inside the bags, trying to figure out (no pun intended!) what characters were inside. 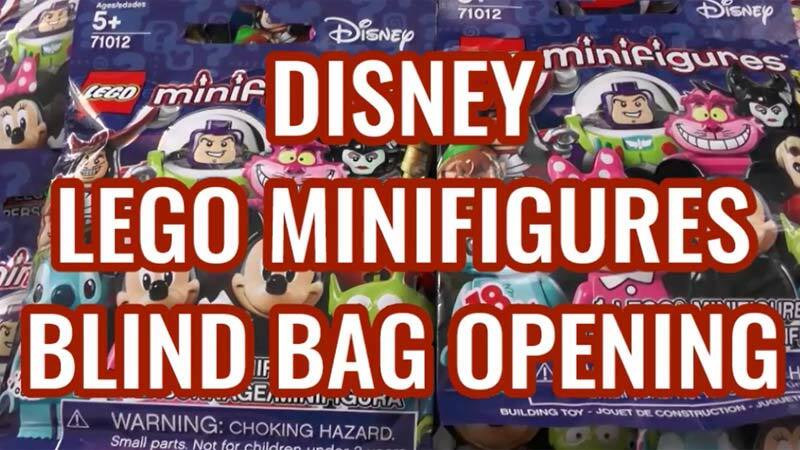 You can watch the video below to see which ones I got in the Disney LEGO Minifigures blind bags, or watch it over on my YouTube Channel here. Do you collect LEGO minifigs (Disney or otherwise?) let me know about your collection in the video comments, or in the comments section below on my blog!